Go-Ahead has awarded Stadler a contract for 22 four-car FLIRT EMUs for use on the Allgäu E network in Baden-Württemberg and Bavaria. The UK-based operator secured the operating contract for the network in August – its fourth in Germany – which will start from December 2021. The FLIRTs will be designed in the traditional blue and white colours of Bavaria and feature internal cameras, plug sockets and mobile phone charging points. They will also include a large space for transporting up to 21 bicycles, items of bulky luggage, pushchairs and prams. 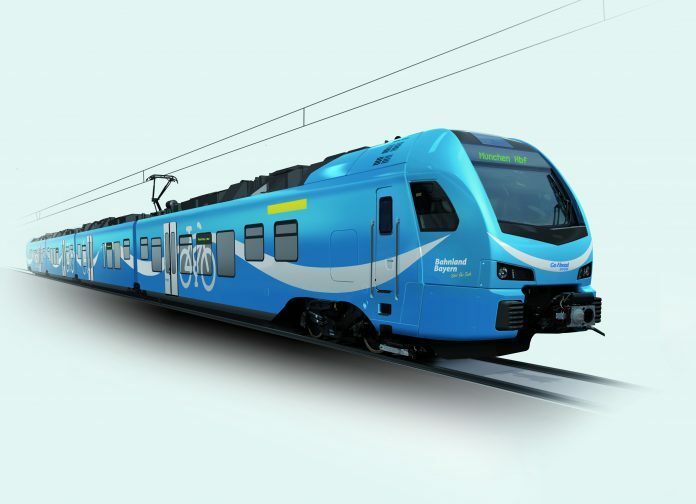 The deal between Stadler and Go-Ahead marks the fourth such agreement between the two rail companies. Stadler Pankow managing director Ulf Braker said: “We are very pleased that we are able to continue the excellent, partner-based cooperation with Go-Ahead. 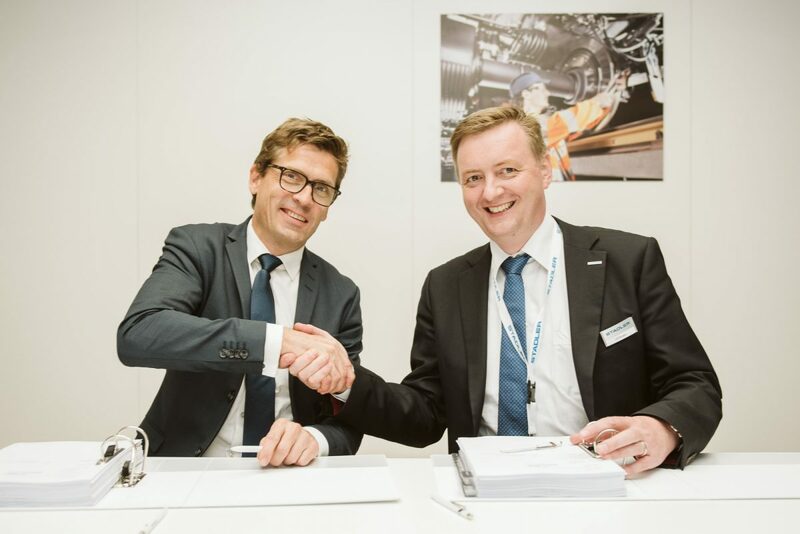 The ‘three-figure’ million euro contract was made official during a signing ceremony at InnoTrans.